This book reconstructs the legacy of Korean minjung theology by reformulating its essential ideas in a dialogue with process thought. In a minimal sense, this study is a theological reinterpretation of the doctrine of the minjung messiah, an idea which historically suffered from a misunderstanding that minjung theology created a ‘messianic confusion’ while replacing christology and soteriology by a radical anthropology. This erroneous conception occurred when the idea was placed within the philosophically dualistic framework of traditional doctrines in which the work of minjung is totally separated from the work of Christ. 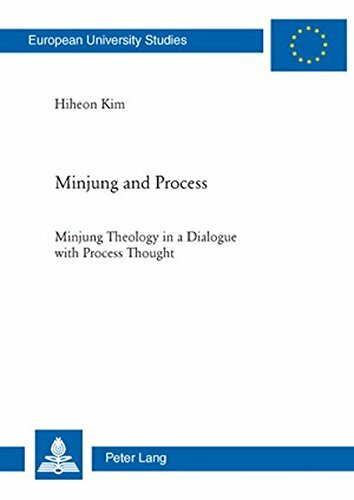 In order to avoid such a dualistic understanding, the author critically adopts process panentheism and makes minjung ideas more communicable and more comprehensive in current theological, religious, and philosophical debates. Beyond defending the idea of the minjung messiah, he also argues for an inclusive minjung hermeneutics that promotes the fundamental insight of minjung theology, in philosophical clarity. Through minjung hermeneutics, minjung theology expands its practical concern and overcomes the theoretical nihilism in postmodern studies.